“…a dream place”…a dream fragrance. 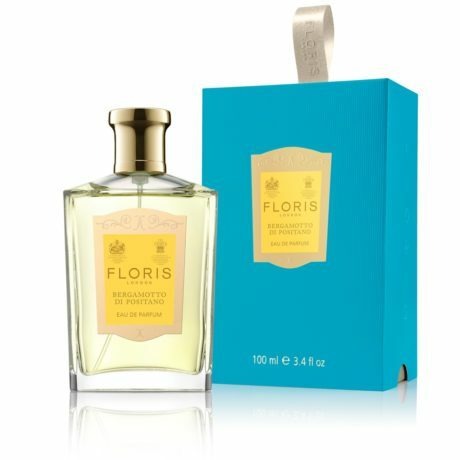 The only perfumer to hold a Royal Warrant, Floris of London creates a new scent for the Queen on her birthday every year. In 2015 the celebrated perfumer created Bergamot di Positano Eau de Parfum from which a bespoke, exclusive version of this perfume was made specifically for Prince Harry and Meghan Markle’s beautiful spring wedding of this year. Inspired by Meghan’s love of the Italian coast and her love of travel, this fragrance was the perfect choice to celebrate the marriage – reflecting the couple’s true love for each other. The story behind the fragrance is enchantingly romantic. In the early 19th century, Charles Joseph Pagliano left the tiny fishing village of Bergamotto di Positano on the Amalfi coast, travelling to England to marry the love of his life, Mary Floris who was highly instrumental in the success of the family business at 89 Jermyn Street, London. Together, they were the key elements in making Floris of London the success it is today, but if ever Charles missed the beauty and languid romance of Italy, it was in the creation of this wonderful scent that these elements would have been captured for him. He never returned to England, but is the inspiration of this fragrance which captures the dream of the Amalfi coast and the hidden fishing village that was once his home. Now, Frontlinestyle in Wells, a stockist of the most exclusive perfumes from Floris of London, is proud to offer Bergamot di Positano Eau de Parfum for both men and women. This delightful unisex fragrance is from the Private Collection and is a wonderful combination of contemporary freshness and timeless romance; evocative of the balmy Mediterranean sea breeze and serene turquoise waters lapping at the edge of sunlit shores. Mandarin and fresh bergamot offer a citrus marine refreshment for the senses with touches of orange blossom carried on the wings of warm summer nights alongside a hint of vanilla for a creamy complement to the ‘initial sparkle.’ Base notes of amber, ginger, ambrette and wood harmonise with the scent to give a mellow languid warmth for classic sensuality and relaxation. We invite you to bring the easy warmth of laid back, unforgettable Italian summers to you all year round with this incredible NEW fragrance and let the unique ambiance of the Amalfi coast wash over you time and time again.